There are car classifieds that you just have to pass on when you stumble upon them. Perhaps your budget has already been dwindled by a recent wheel purchase, your garage can’t store another car, or your sense of better judgment finally speaks up. We’ve all been there. 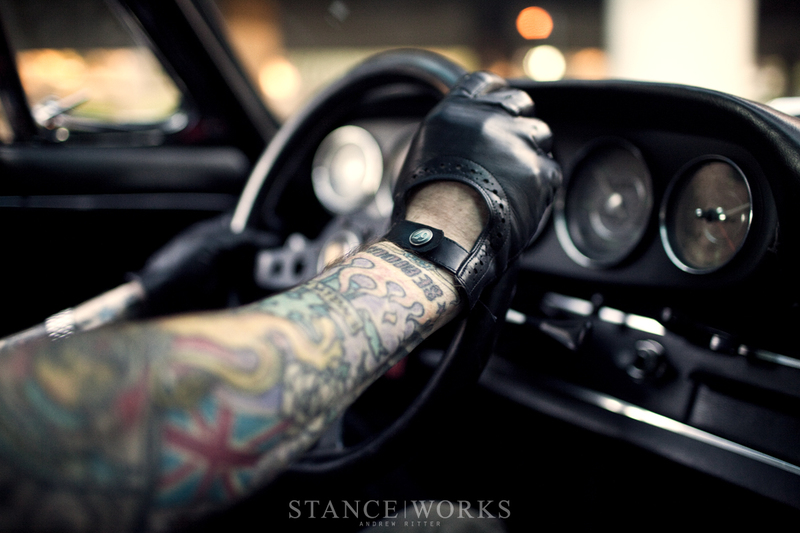 You muster up the strength and continue on in your web browsing, leaving behind a car that was calling your name. 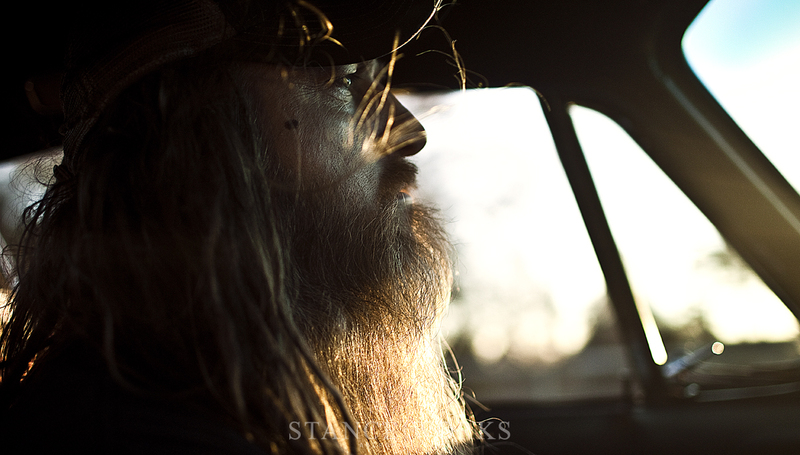 For Magnus Walker, the tale was similar: having already accrued 4 911Ss in his growing collection, the last thing he needed was another. The Arizonan Autotrader ad for a 1967 911S had to be ignored. 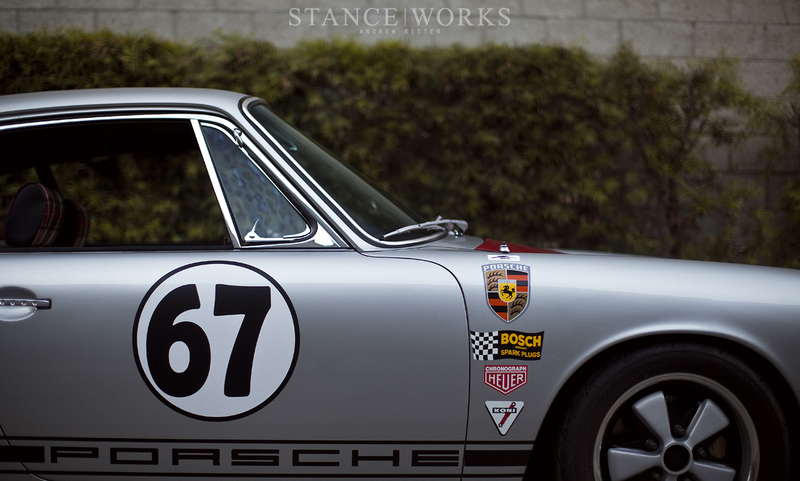 The Porsche search continued for 4 more months until fate stepped in and led him back to the original 67S classified. Unable to pass on it again, Magnus made the call. You’re never sure when you stumble on old forgotten ads. Often times the seller has just neglected to remove the ad once the title was handed off, but every so often you find yourself on the phone with a seller who, for one reason or another, still has their car. 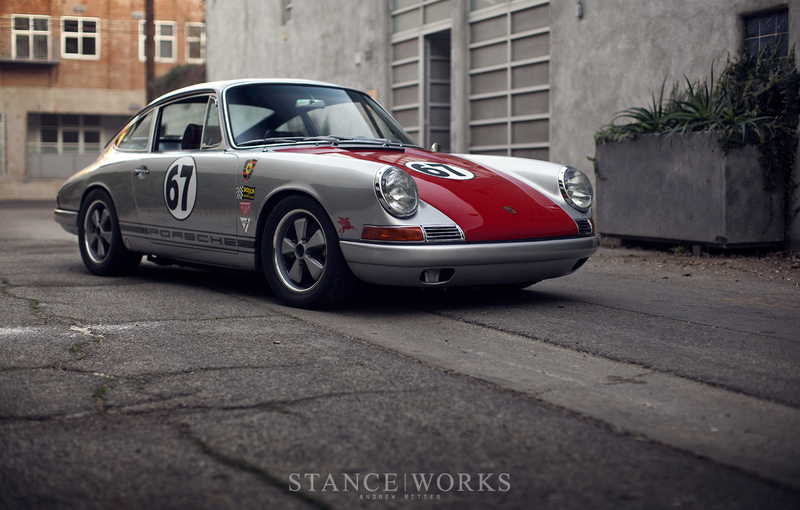 Against all odds, the ’67 911S still hadn’t sold, and the owner let Magnus know that the price had been dropped. 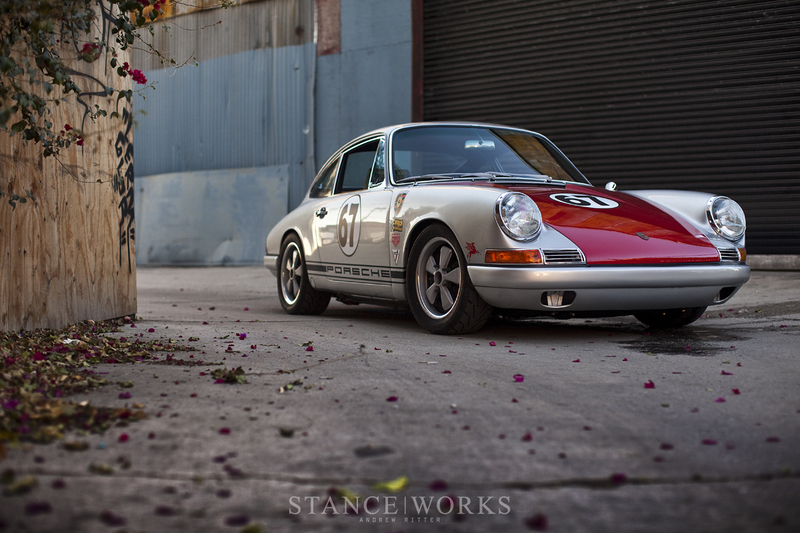 By 7AM the next morning, Magnus was on a plane bound for Arizona to pick up his fifth 1967 911S. The car that had almost escaped him was now a part of the collection, situated in a beautifully remodeled brick warehouse in Downtown Los Angeles. Magnus’s collection consists of a wide range of cars reflecting his Porsche Passion within the poster strewn walls of the garage. A rock-chipped canyon carver, restored classics, low-mile collector pieces, and resto-mod builds make up the array of 911s that have gained him notoriety over the past few years. Although it hasn’t received the same spotlight as the 277 racecar or his impressive 72STR-002, the 67S has always caught my eye with its simple elegance. It's a car that exudes race history in its careful details and hints at raw performance with its stance. On each door is a racing meatball marked with a 67 to celebrate the year, 1967, when the 911S was added to the Porsche family. 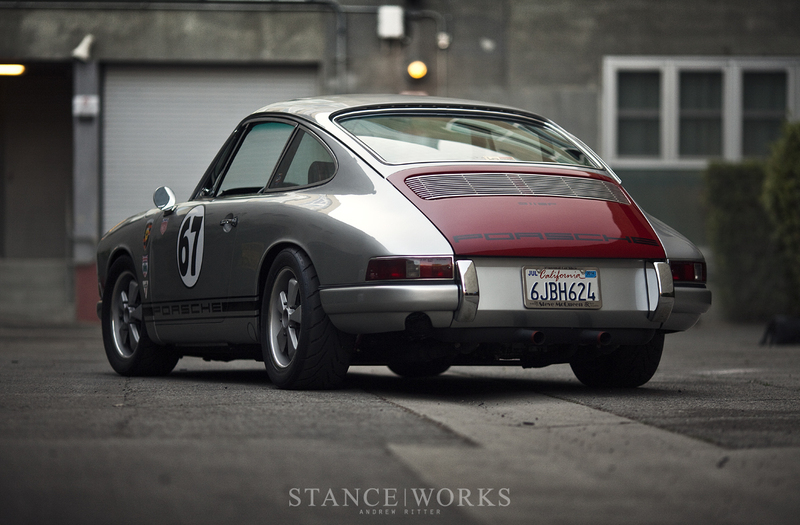 Porsche introduced the 911S as their ‘High Performance’ offering for the lineup. The 911S received engine adjustments with an increase in compression from 9.0:1 to 9.8:1, and twin three-barrel carburetors, resulting in a bump up to 180HP - 32HP over the base 911. New brakes and Konis were added for the inevitable turns that each 67S would encounter in their journey, and the unsprung weight of each corner was lowered by 5 pounds with the introduction of the alloy Fuch wheels that are so well-known today. Unfortunately, in 1968, 911s were no longer allowed into the United States due to stricter emissions regulations, and they would not return to the States until 1969. With only a limited number making it into the country before the government stepped in, the 1967 911S holds a very special place in the heart of Porsche enthusiasts and remains as one of the most collectible early 911s. It seems fitting that this car shares the same 67 insignia as our brand, The Lowly Gentlemen. The 'LG' was flipped upside down to form the 67 race number, playing to the rich history of motorsports that inspires us, and it represent an aesthetic that we hold paramount. 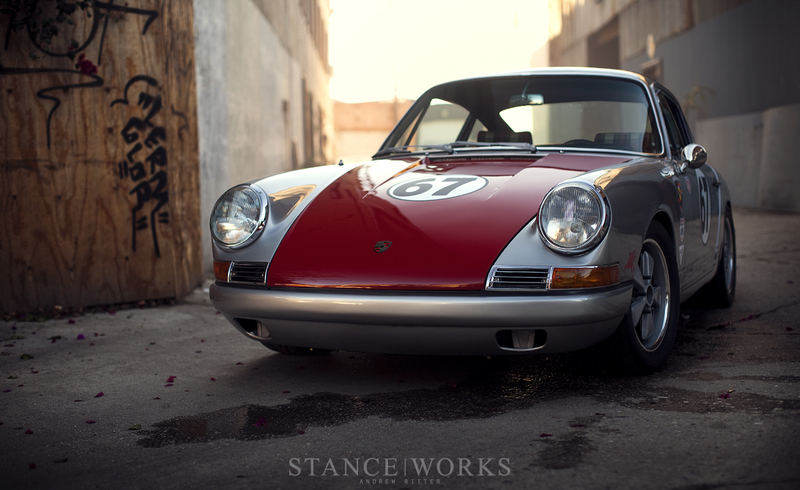 To do something in a ‘Lowly’ manner is to do it with an understated refinement, and that same philosophy permeates throughout Magnus Walker’s 67S build. His other builds, each impressive in their own right, have been much louder in their styling. Whether the arches were being sculpted to accommodate a wider stance, or the rear lid was being louvered in Magnus’s trademark fashion, his recent builds were eye catchers that caught the attention of car enthusiasts worldwide. The 67S is a little meeker in its persona, but that simple nature is part of what I so enjoy about it. At some point in its history the 911S had been flared out to emulate the wider hips of the newer models, but because Magnus had a numbers-matching, rare model on his hands, he wanted to retain its original stature. 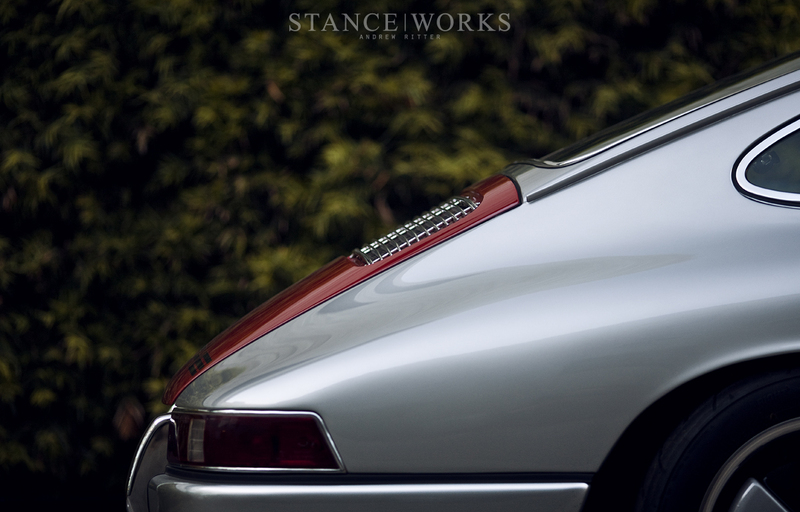 The front fenders still had the original, matching number stamps so he had Frank Turner, his metal master, remove the flares and return the slim lines of the early 911’s body. The narrow bodies of the classic Porsches win me over every time as they suggest a nimbleness that brings about dreams of rally events and hill climbs. Taking the motorsport influence further, Magnus chose a two tone paint job with a stark red hood and deck lid against the iconic Porsche silver. Reminiscent of the Porsche 906s with primary colored hoods making up their simple liveries, it pays tribute to the Porsche racing heritage of the late 60s. 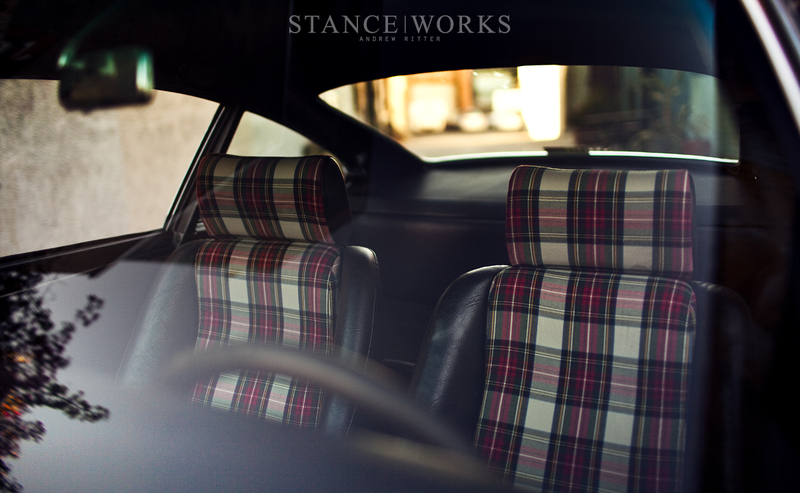 Playing off the red of the hood, a set of period correct Scheel bucket seats were wrapped in a tartan fabric that harks back to the patterns found on the bucket seats of 60s racers and across the helmet of racing legend Jackie Stewart. To round out the final motorsport touches, Magnus dug out some old era-specific stickers that he had collected over the years and gave them a new home on the front wings. While the classic body lines have an unassuming demeanor, the meaty stance reminds you that a serious chassis hides underneath. 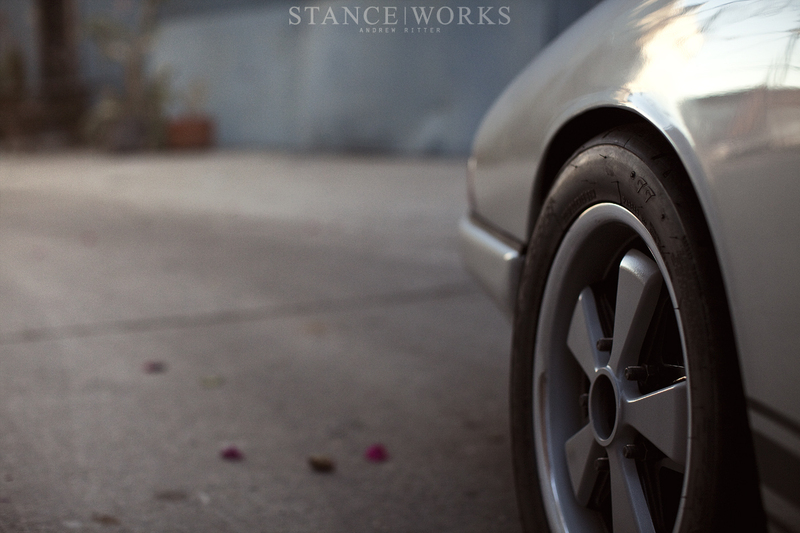 Staying true to the original 67S appearance, Magnus sourced a set of the iconic Fuch Alloys. Opting for 15” ‘Deep Sixes’ up front and the replica 7Rs in the rear, Magnus gave the wheels his own take on RSR-styling with a polished lip and bead blasted finish. Sticky Toyo Proxes R888s fill out the wheel wells and give the car a surprisingly menacing stature under its elegant lines. The 911 suspension was originally designed with narrow old bias-ply tires in mind, so changes had to be made to reap the benefits of these new modern tires that grip at the road. Elephant Racing Adjustable Spring Plates were utilized to introduce a more progressive camber curve to the rear, allowing the tires to unleash their potential in the corners. Tarett adjustable sway bars, Elephant Racing torsion bars, and revalved Konis absorb the imperfect LA roads and ensure that the car stays planted through the mountain twisties. With a suspension refresh and some carefully selected parts, Magnus has built a street car that tackles his urban surroundings while still offering the performance necessary to truly enjoy what the Porsche has to offer when the road opens up. As this car was rolling off the lot in 1967, Porsche was introducing the “Sports Purpose Program” to offer the public cars that were prepared for race use. The program opened the door for owners to use their Porsches as intended, campaigning in Rallies and Road Races throughout Europe and the US. With a few simple additions such as roll bars, limited slip differentials, and sport suspension, the cars were ready for competition use without being out of grasp for the public. In a similar manner, Magnus has built a “Sports Purpose” car that improves upon the already impressive 911S chassis with a few calculated adjustments and modifications. His 67S is a lesson in moderation, and that's what so intrigues me about it. Without diving into an extensive build or endless Concours restoration, he has managed to construct a driver's car that remains simple and true. After an evening of shooting the car, we ended the day with a blast over the bridges of his LA neighborhood and it all made sense to me. He simply enjoys driving, and that passion shows in all of his work. Sort of wish they used a slightly more raw specimen from his collection, but as much as I’ve heard and read about Magnus wanting that 67S, I respect the choice for the feature. Still a beautifully poised and tastefully modified example of what he loves. Great post. @BranTheDon_ Fortunately we’re local to Magnus’s shop so I’m sure there will be more visits made in the future to share some of the other great cars that make up his collection. This car… is amazing, walker collection its amazing. Magnus is my inspiration to begin my own way of enhancing the looks of my on e30 bmw at first and who knows maybe some other jewels i might occure. 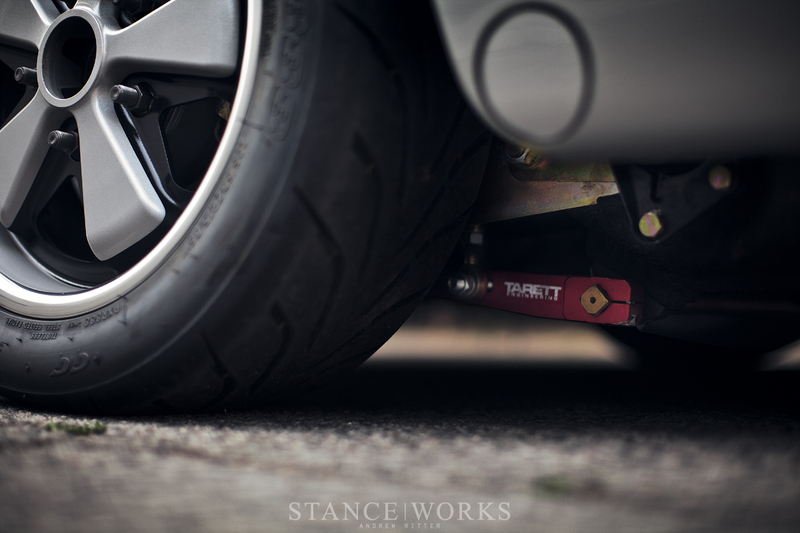 StanceWorks Team! beware of another Bavarian beauty coming into your basket :) Ou and deffo getting those Lowly Gentleman’s pair of gloves this Spring! 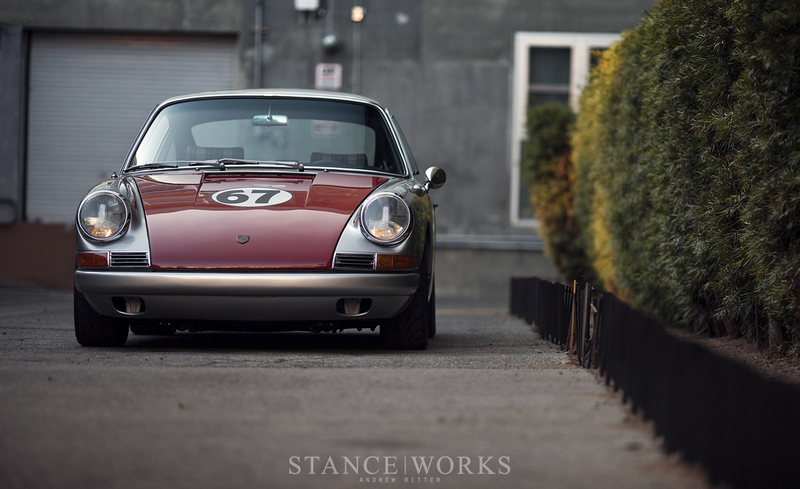 The 67 911s is subtly raw yet beautiful. 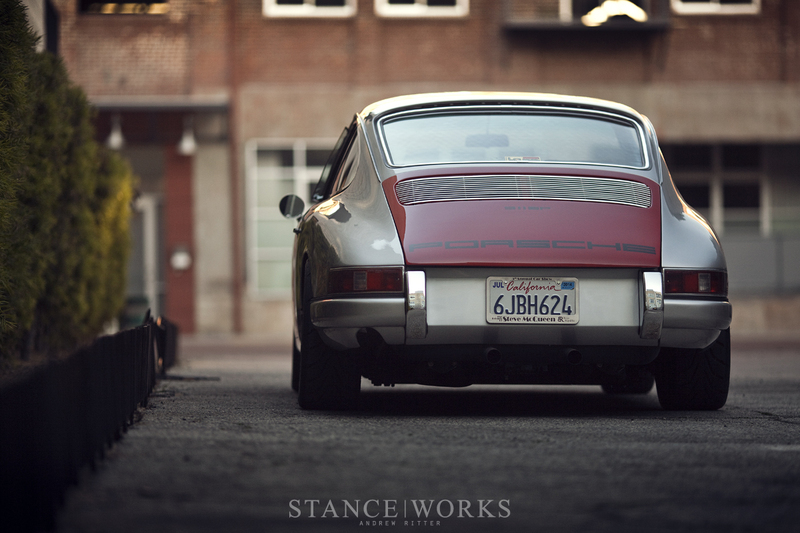 I have a 69 Porsche 911. I find myself just staring at it from time to time in the same way one would view a fine sculpture at a gallery. I find my self watching this time and time again – the image and sound of the silver Porsche crossing the bridge – poetry!